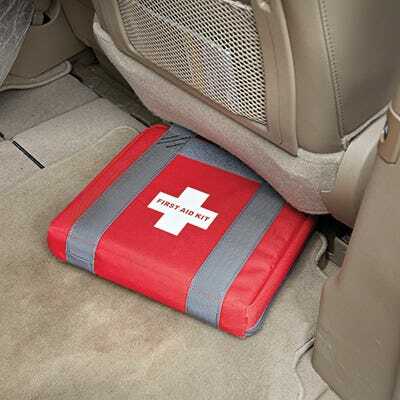 Why disguise a handgun case as a first aid kit? 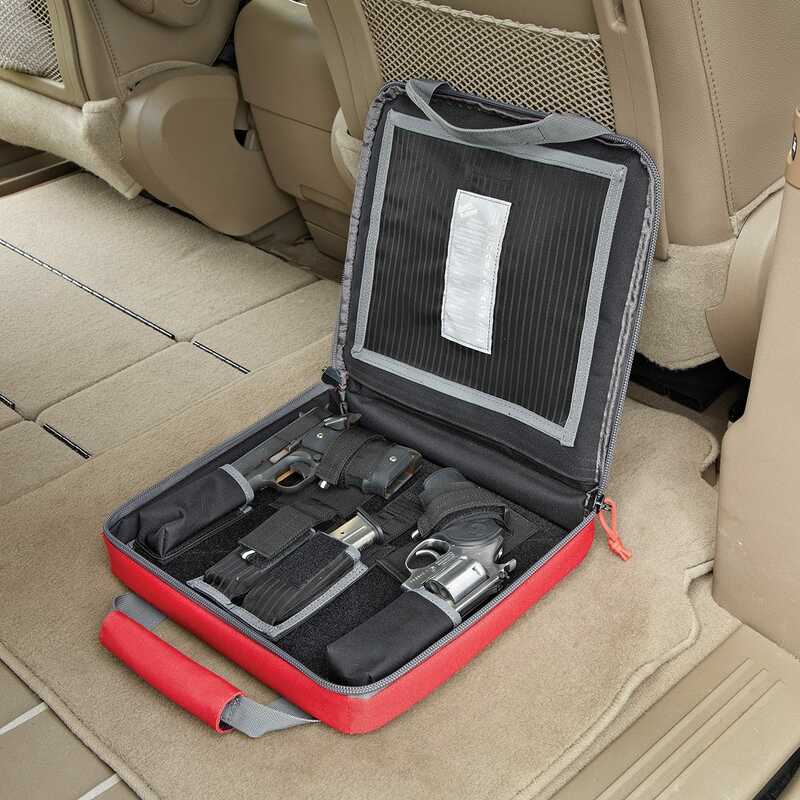 First off, it thwarts thieves who might break into your car or home and be looking for a standard gun case. Second, it allows you to discreetly keep your firearm close at hand without sending up a red flag at the office or worksite, or while camping or at the beach. 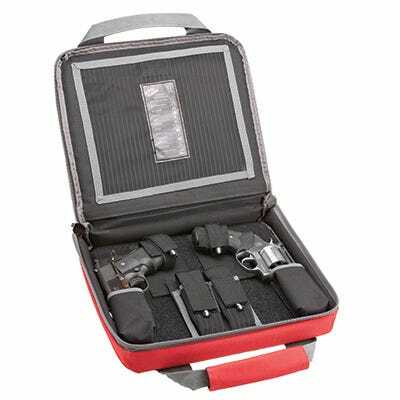 Hard-sided case with modular back wall for storage, double magazine pouch and lockable double zipper for legal transport. Measures 14"l x 14"w x 3"h.